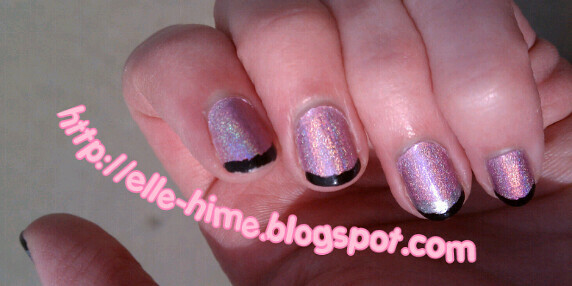 Tried prolonging the life of my holographic mani with creme tips. I did them freehand so they aren't very neat! A stripe of silver was added to the ring finger and thumb, as well. Edit: Ugh, I simply had to go in and rotate this later, as well as host it from Flickr - blogger ruined my picture quality as well!